My son turns 17 this year and in the UK this means he's eligible to drive - once he passes the test. In anticipation of the big event I've been taking him to Mercedes World at Brooklands for under 17s driving lessons. He started at age 14 in a B 180 CDI and has since driven an A 200, ML 350 and, most recently, A45 AMG. All these lessons took place within the confines of Mercedes' own tracks at Brooklands. The ML drive was at their off road circuit and the A 45 AMG was at their fastest track and on the drag strip. So I'm the kind of parent who wants their child to be ready to go when it comes to driving. Fact is I wanted him to be able to drive a car before he turned 17 so that during his lessons on the road he'll be able to focus on road craft and hazards. In over 30 years of driving I've not had a single crash. I'd like to do my best to ensure my son has a chance of having a similar crash-free record. As a petrol-head I wanted to buy him a decent car in readiness for his birthday. In 2016 we went on holiday to Ibiza and hired a Fiat 500 convertible. We razzed around the island in this thing and had a ball. We loved it. The steering was light, the driving position bloody awful and the entire experience fun. So we decided his first car would be a Fiat 500. 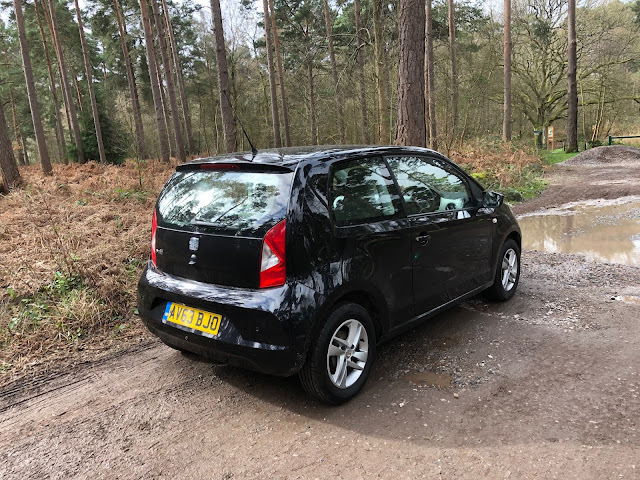 In 2017 we holidayed in Majorca and hired a Smart ForFour, the one based on the Renault Twingo with the engine under the boot floor, and it was awful. We definitely weren't buying one of those. So I spent every moment looking at Fiat 500s. I wanted to spend £2,000 and there were lots in budget. Trouble is every single one I looked at had a long list of MOT advisories. Frequent issues were rusty springs, bodywork issues, loose ball joints, failing brakes and holes in exhausts. We went to see a couple and they were dreadful. And the dealers selling them (there were almost none for sale privately) were gormless idiots who seemed not to think that a service history was important. They thought polishing the tyres and the dashboard was more attractive than the engine being looked after by a decent garage. Eventually I gave up and started to look at VW Up!s. I had to up the budget to £3,000 and even so there weren't many around. I found one local to me at a car supermarket. It had a history - though it looked super dodgy with the same hand writing in the service book - and the price was OK. Then when I said I'd buy it they added £200 on the price as an 'administrative fee'. I baulked at this and tried to negotiate but they came down real heavy. We went to see the manager who sat at his desk trying on all the usual bulls*t tactics, stroking his handlebar moustache as he looked at his computer, typed some stuff, looked at me, sucked his teeth and said he couldn't remove the fee. We walked, They phoned and tried to talk more. I'd had enough. We stayed away. Cowboys. 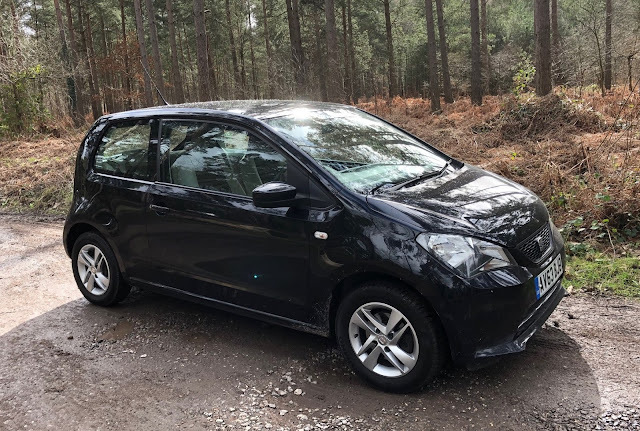 Then I found a Seat Mii at a dealer down in Sussex. It was new enough and had highish mileage but a service history to support it. I went down to Horsham to see it. It was lovely. It drove well and seemed an honest car. Hallelujah! I had found an honest dealer selling an honest car!!!! I negotiated £200 off the price and told the dealer I would get the car picked up, at which point he offered to deliver it for £100. I agreed. Since then I have driven the Mii several hundred miles and enjoyed every single one of them. It is black and is an SE. It's very important not to buy the base model. The Seat Mii, VW Up! and Skoda Citigo are identical with the exception of front grille and badges - and colour schemes. The base model for all is very basic. No alloy wheels, no electric windows, no ESC, no split rear seats, no air conditioning, no central locking, no remote entry and no seat height adjust. The SE trim has all these. The base model also has a plastic steering wheel. Urgh, no thanks. 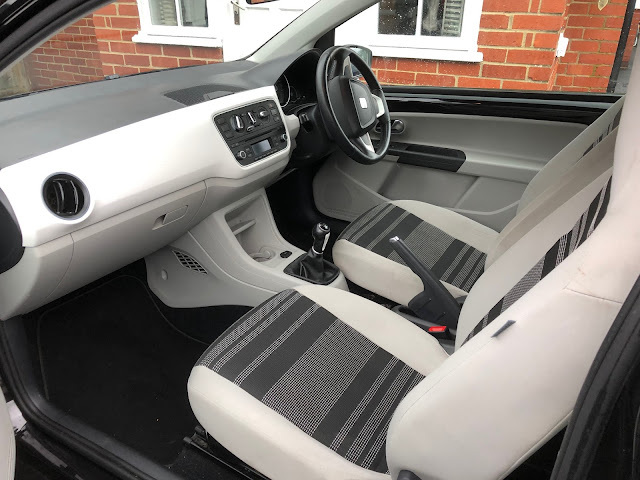 Our SE also has a predominantly white interior with black and grey inserts and looks very cool. It reminds me of a 1970s sci-fi palette. The materials are hard wearing and the plastics look and feel good. I particularly like the white dash trim which is hard and smooth and doesn't feel scratchy and cheap. The dials are clear but when you adjust the driver's seat to suit you cannot see the top of the speedo. Apparently this is common to all three models. The steering wheel adjusts for rake but not reach, and it could really do with it. As such the driving position for anyone of normal dimensions is compromised. Your knees and ankles bend a little too much - but not as much as in an Alfa Romeo. 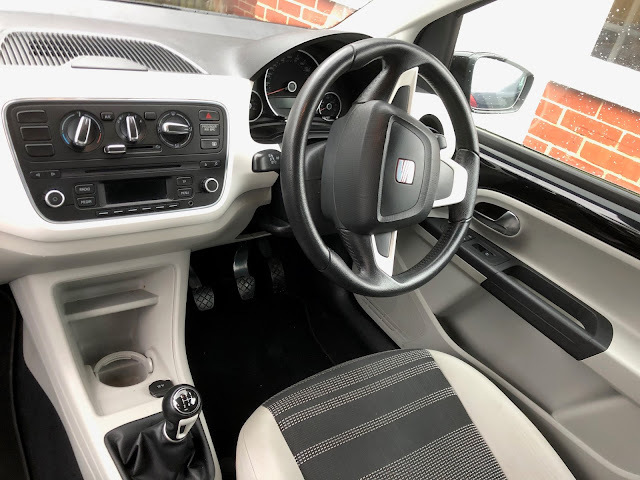 The interior is spacious and is well designed with deep door pockets and a shelf to put your phone, out of the way of temptation for the youngsters who would normally drive it. The stereo system is clear and powerful enough. It has an aux-in which means I've been able to fit a cheap but good quality bluetooth. The Mii, Up! and Citigo only come with one engine - a 1-litre, 3-cylinder - and four different power outputs. Ours is the most common, the 60PS (59bhp in English). It produces 70lb ft of torque and has a 5-speed manual gearbox. The car weighs 929kg and it does 0-60mph in 14.4 seconds. The Mii doesn't feel so slow. The engine sounds buzzy and rorty and is eager to rev. It has real character - a rarity in this day and age - and pulls nicely until 5,000rpm when it starts to run out of puff. The gearbox is light and slick. Turn a corner and the Mii doesn't provide class leading feedback but it is sharp enough. You get a smidgen of body roll - it may be light but it is relatively tall - but it is fun to hoon around a series of bends. And you can do all this without using seemingly any fuel. Official combined fuel consumption is 63mpg and it achieves this effortlessly. The needle on ours hardly moves and I've only filled it up once in a month despite almost daily journeys. Finally the Mii is a practical car. The rear seats are plenty big enough and the boot is much bigger than in the Fiat 500. 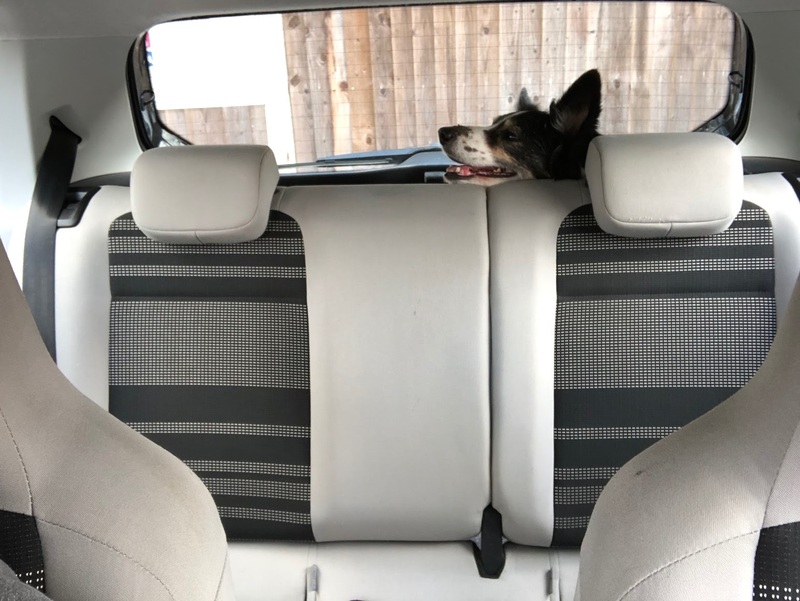 It also has enough space at the top to put a dog in (which you can't do in a Fiat 500), though the floor is very low. I've had to build a boot floor out of MDF and foam for our dog, which is a few inches higher than that in the car when it arrived. The Mii has really surprised me. It is small outside but large inside. It is comfortable but it is buzzy and good to drive. It is simple but sophisticated. I think we bought the right car.